While I was busying enjoying my holiday, Prabal Gurung ‘s creation was appearing everywhere around the globe. Every time I am able to read about him or see someone wearing one of his creation, I feels so good. So here is the sample of footprints Prabal Gurung is leaving around the world . Love him so much. Marie Olympia of Greece wears sky technical tweed bomber and pencil skirt from the Spring 2014 collection for the March issue of Tatler. Julianne Moore wearing the ivory silk cloque hand draped dress with navy, silver and grey paint-stained printed lurex jacquard asymmetric skirt from Prabal Gurung Fall 2014 collection in Los Angeles. Nicole Kidman wears the white silk crepe off the shoulder dress hand-embroidered with swarovski crystals, silk grosgrain and organza ribbons and graphic black mako stripes from the Spring 2014 collection and Casadei for Prabal Gurung shoes for the March Issue of InStyle. The pearlescent pink technical bonded satin shirtdress with white sable yoke insert, open back and mesh paneling from Prabal Gurung Spring 2014 collection in the March Issue of Vogue China. The pearlescent pink, white and abstract rose printed hand-draped silk/cotton duchesse strapless dress layered over double bonded cotton bustier from Prabal Gurung Spring 2014 collection in the March Issue of ELLE Magazine. Camilla Belle wearing the white windowpane organza 3/4 sleeve off the shoulder shawl sheath dress from Prabal Gurung Pre-Fall 2014 collection tonight in West Hollywood. Magdalena Frackowiak wearing the wearing the lavender, mint and black abstract rose printed napa leather sweatshirt and pencil skirt from the Spring 2014 collection for the March Issue of Vogue Japan. Maja Salamon wears Prabal Gurung kelly graphic rose screen printed translucent PVC raincoat from the Spring 2014 collection for the April Issue of Vogue Russia. The pearlescent pink technical bonded satin shirtdress with white sable yoke insert from Prabal Gurung Spring 2014 collection with V Magazine. Prabal Gurung vermillion graphic rose digital printed rayon muscle tee and vermillion technical tweed pencil skirt with disintegrated rose motif from the Spring 2014 Collection with this weekend’s The Telegraph. Cobie Smulders wears the sky translucent glitter printed laminated tulle pencil skirt from Prabal Gurung Spring 2014 collection for the April Issue of InStyle Russia. The lavender, mint and black abstract rose printed napa leather sweatshirt and the lilac rose sable pant with tonal satin inserts and white mesh overlay from the Spring 2014 collection for the April Issue of Elle Vietnam. Prabal Gurung Pre-Fall 2014 ivory polarized rose printed silk duchesse a-line pleated colorblock dress and Pre-Fall 2013 bright pink and turquoise graphic lily printed silk / cotton tee for the April Issue of Elle Vietnam. Kareena Kapoor Khan wears the kelly classic rose printed silk crepe de chine draped back blouse with contrast yolk and sleeve inserts from Prabal Gurung Spring 2014 collection for the March cover story of Vogue India. Sonam Kapoor wearing the lavender rose sable deep-v dress with hand-draped bodice, dolman sleeve and white mesh raceback detail from Prabal Gurung Spring 2014 collection. Martha Hunt wearing the translucent nylon pointelle sweater with hand-embroidered vermillion and black ribbon rose embroidery and vermillion graphic rose printed technical duchesse pencil skirt from Prabal Gurung Spring 2014 collection for the April Issue of ELLE Magazine (US). Sarah Gadon wears the lavender rose bonded technical satin hand-draped dress with cascading back ruffle and exposed double bonded cotton poplin corset from Prabal Gurung Spring 2014 collection for the April Issue of InStyle. Elettra Wiedemann wearing Prabal Gurung Pre-Fall 2014 ensemble for the screening of ‘Dom Hemingway’ last night in New York. Prabal Gurung black and white fil couple silk and cotton pant with graphic black and mesh inserts from the Spring 2014 collection for the May Issue of GLAMOUR UK. Elettra Wiedemann and Isabel Lucas wears Prabal Gurung. Rita Ora wears the pearlescent pink, black and white abstract rose printed napa leather pencil skirt from Prabal Gurung Spring 2014 collection for the May Issue of Elle UK. Kate Upton’s Prabal Gurung gown from the February Issue of Vogue. Bollywood actress Alia Bhatt in Prabal Gurung Resort 2014 . Bollywood actress Kajol in Prabal Gurung. If you have been following my blog, you know that I am a big fan of Prabal Gurung and his collections. I am loving all the pretty prints in Prabal Gurung’s Pre-fall 2012 from sunglasses to shoes along with kaleidoscope pattern on dresses, dark and bold pattern with a mix of amazing silhouettes/textures from Fall 2012 and bright colourful candy-colour mixture of modern silhouettes, laser-sharp tailoring, asymmetry, and florals from Resort 2013 collections. Also, a lot more celebrities are wearing Prabal Gurung and I am so happy to see that. His success has rocketed through the sky in the last few years and yet he is still humble and grounded to his roots. Prabal Gurung is always eager to convey that he was incredibly proud to share his Nepalese heritage and that he never forgets his country. From press interviews to professional endeavours it is true that Prabal Gurung has maintained close ties with Nepal and he mentions Nepal in almost every interview . Recently Anne Hathaway wore R13 White Jersey Hand Draped Gown with Tulle Corset to Batman premier. Michelle Obama, Lady Gaga, Zoe Saldana, Barbara Bush Ashley, Greene, Olivia-Palermo, Jennifer Lawrence, Jessica Chastain, Rachel Weisz, Hailee Steinfield,,Sonam Kapoor and Ginnifer Goodwin were seen donning Prabal Gurung dresses as well. 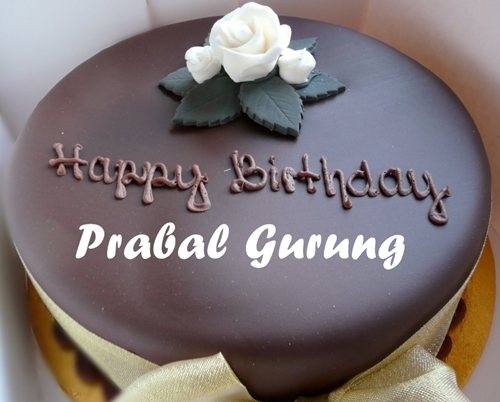 By now everyone already knows Prabal Gurung as one of the most happening designers, whose design was seen on Michelle Obama, Oprah Winfrey, Demi Moore and Sarah Jessica Parker just to name a few. Please click here for his detailed introduction. This week was the Oscar and Kate Bosworth wore a Prabal Gurung during Vanity Fair Oscar Party. She wore a black tulle long sleeve dress with filigree cutwork, sparkling with jet beads and Sistine blue crystals and was accented with a heavy black belt. She looked absolutely stunning combined with her simple accessories and a slick bun. 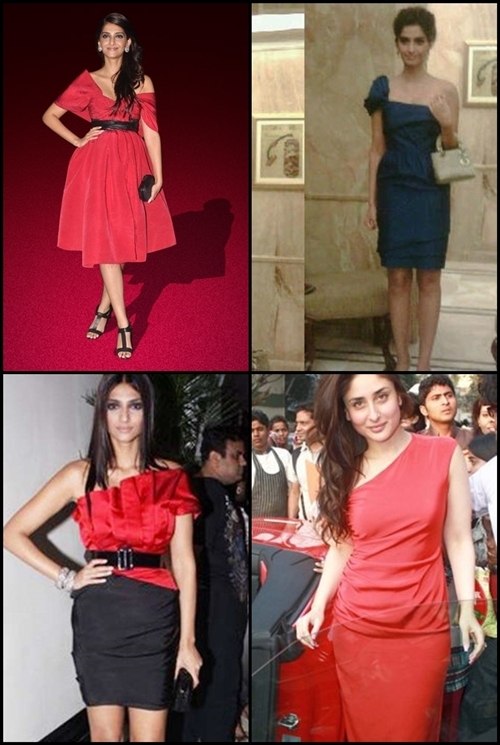 Here are a few other celebrities who were spotted with a Prabal Gurung design. Along with Hollywood celebrities, Bollywood celebrities like Sonam Kapoor and Kareena Kapoor have been spotted with Prabal Gurung designs as well. NJ on Chhori turns 4 !!! 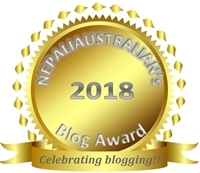 nepaliaustralian on Chhori turns 4 !! !